Costa Rica was our home for 5 amazing years and we were able to experience so much of the country in that time. I assume most of you, though, do not have 5 years to spend exploring and determining what is and is not worth your time. If you only have a week or a month in the country it can be daunting to determine what you should be sure to do. So we have put together a list of 10 experiences in Costa Rica you don't want to miss! There are, of course, many spots to explore and amazing experiences to be had on top of this list, but these are some of the top picks in our opinion. Monteverde is my absolute favorite spot in the entire country. 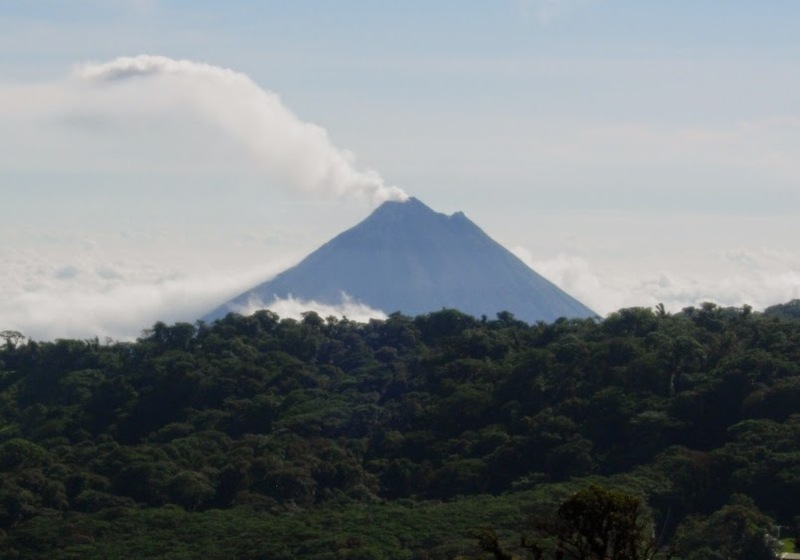 It is an area ripe with beautiful rain forests, mystical cloud forests, stunning views of Volcan Arenal, and more hiking opportunities than you could possibly fit into a visit. 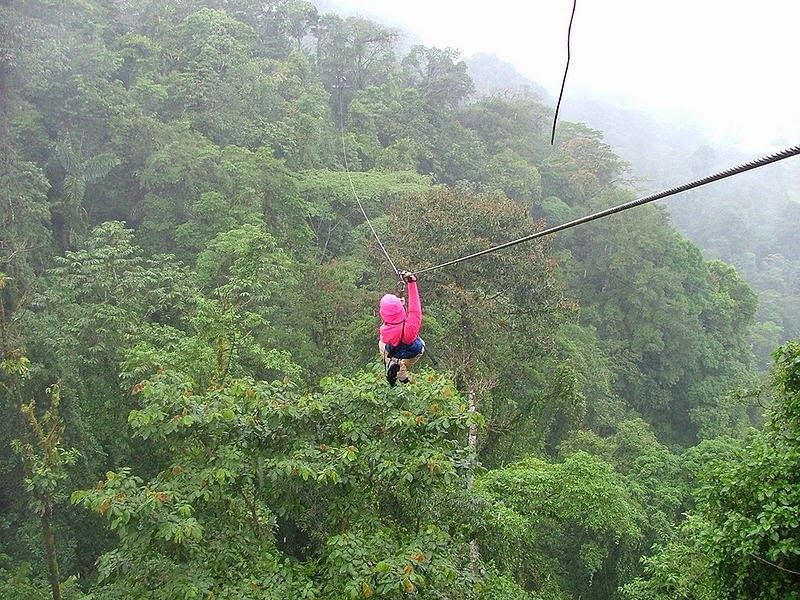 But perhaps one of the most exhilarating and breathtaking experiences is taking a Costa Rican canopy tour. Imagine soaring through the air above the canopy where you can experience adventure, nature, and education all in one trip. It is as if you are a bird soaring over the jungle. Costa Rica offers perhaps the best nature and wildlife in the world so it is the perfect spot to fly. This will most definitely be an experience you will never forget! Tip: Don't forget closed toed shoes. Easy to do in a place like Costa Rica and you usually will not be allowed to zip line if you don't have safe shoes. Another area of the country that should not be missed is the Caribbean side. Stunning beaches, secluded tranquility, and wildlife galore is what this area offers and is simultaneously why it should not be overlooked. One of the best experiences we had in the area was visiting the sloth sanctuary in Cahuita, where they rescue and nurse back to life injured or abandoned sloths. With all the new development in the country sloths have been increasingly injured on power lines and on the roadways and this generous organization does its best to rehabilitate and either, release back to the wild or care for them the rest of their lives. A worthwhile organization to support! Tip: You can also do a really cool canal boat tour right behind the sanctuary so ask about that as well! No trip to Costa Rica would be complete without viewing the majestic Arenal volcano. It is one of the 5 active volcanoes in the country but the only one that is a perfect stratovolcano. The entire area is beautiful with hot springs, waterfalls, hiking trails, and a stunning freshwater lake. If you visit at the right time you can lay in bed at night watching the lava glow down the sides of the volcano and hear the tumbling rocks and rumbles from within. 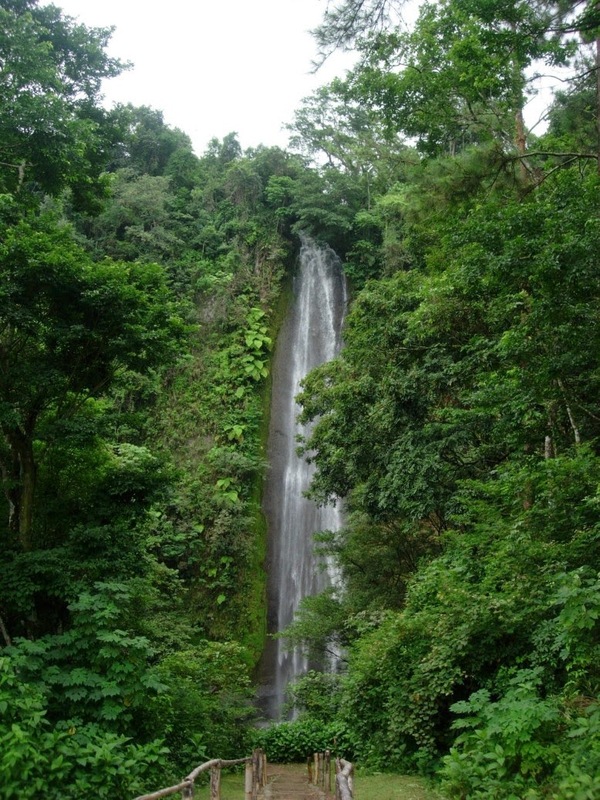 Tip: Be sure to hike the La Fortuna waterfall and visit one of the hot springs. The less popular the spot the more affordable and tranquil it will be. Ask the local ticos! One thing that the lush vegetation and the 6 month long rainy season will give you is one magnificent waterfall after another. In our small mountain town of Atenas we stumbled upon one and it ended up being one of our favorite spots to hang out by! Ask around and you'll find many to choose from. Tip: Los Chorros in the Grecia area is not exactly secret but there were never crowds when we visited and it's great fun. 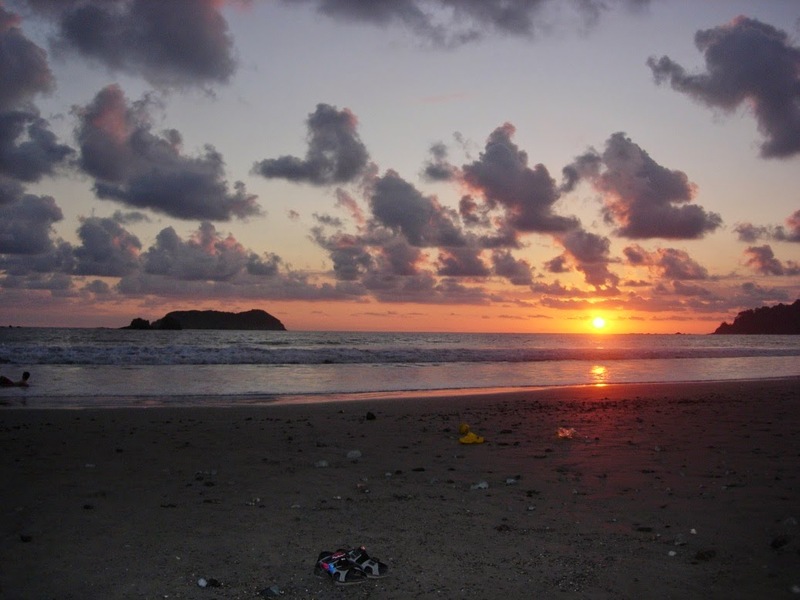 Manuel Antonio is both a great little tourist town and a beautiful beach location. At the far end of town you will find the national park where all ages can enjoy the calm waters. The best part of the park, though, is all the wildlife spotting that can be done. 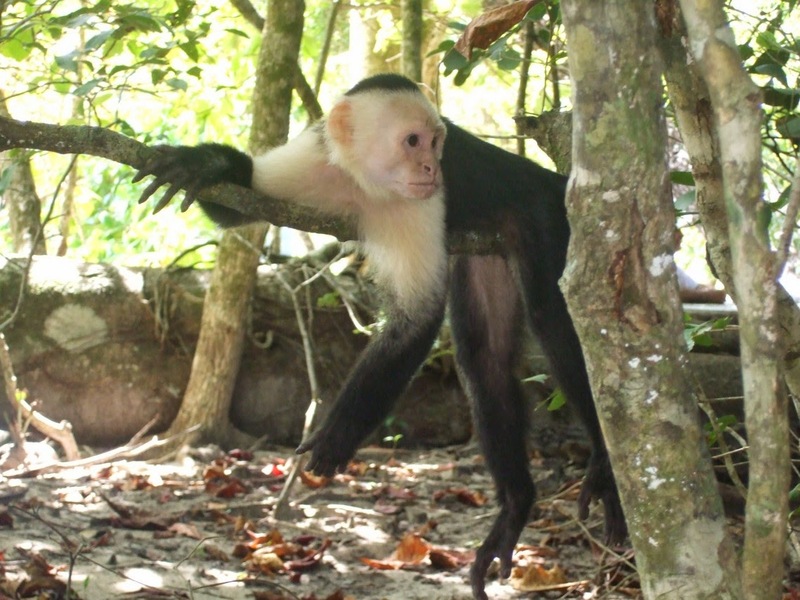 We have seen large marine and land iguanas, anteaters, coatis, sloths, and of course the white faced capuchin monkeys. They come out around lunch time and run wild along the beaches and the paths that surround the park. Tip: Be careful! Monkeys are cute and fun to watch but they are out there for your food. They will rifle through your belongings and steal anything that looks good so keep a good watch. 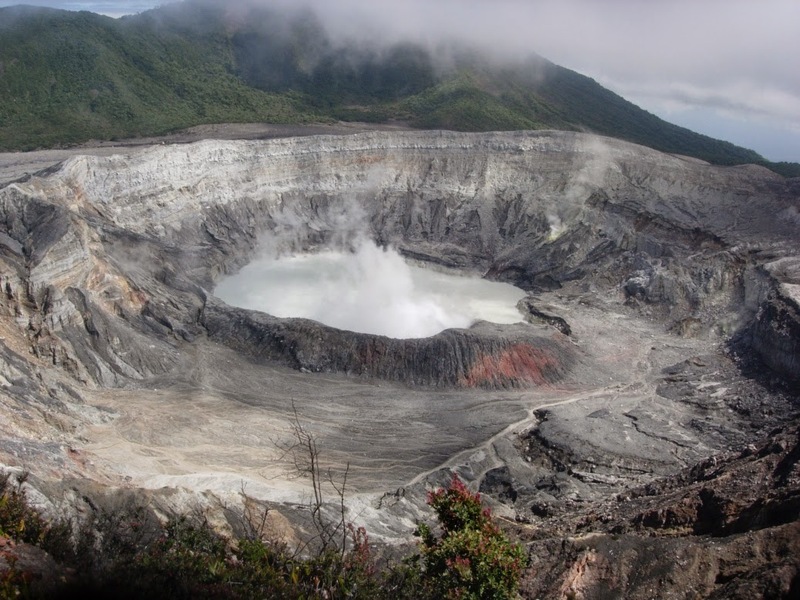 Volcan Poas located about 1 hour from the town of Grecia is another one of the 5 active volcanoes in Costa Rica. The great thing about both Poas and Irazu (located closer to San Jose), aside from how lovely they are, is the accessibility. You drive up and park within 1/2 mile of the crater making it accessible to nearly everyone. There you can marvel at the various craters, some filled with colorful water, and if your lucky it will even have a small eruption while you are standing there watching. Don't worry though, they are mostly harmless. Tip: If you have the time head over to La Paz waterfall gardens located nearby. They have loads of great animal exhibits, cultural experiences, and of course, waterfalls! Nothing says Costa Rican culture like a Tope! If you don't know already a Tope is basically a horse parade and there seems to be one every other weekend someplace in the country. Now it may not seem very exciting but some of the best times we have had were celebrating and laughing among locals in the streets watching one of these parades. If you get a chance try and see one, bonus points of you can catch an evening parade where the antics of the riders overshadows the horses themselves! Tip: There is regular time and then there is Tico time. When going to a parade, or any function that is similar, expect it to start at least 1 hour after the time it was supposed to start. We once went to a tope that started 3 hours later then was advertised. Pura Vida and bring drinks! All of the pacific side beaches offer beautiful sunsets but we have never seen such vibrant colors as in the sunsets we watched in Playa Samara. It is a large beach and easy to find a peaceful spot to string up a hammock and enjoy. On top of that it happens to be one of our favorite beaches in the country. Tip: Playa Samara is one of the best spots to go deep sea fishing or head out to see some dolphins on a tour, but bargain hard. They start out way above the fee they will accept. I once got a dolphin boat ride for 90% off the starting asking price. Sometimes even when you are in a beautiful country you need to have a bit of familiarity for children. This can be found (although lots of the writing is in Spanish only) at the Museo De Los Ninos. Located in an old prison, so sort of cool for that alone, this is a hands on experiential museum that our kids loved visiting. I think its something like $3 to get in and provides hours of fun so well worth it if you have the time. There are earthquake platforms, helicopters to explore, planes to "fly", banana plantations to run, and a full grocery store complete with shopping lists, pretend food, and a cashier. Tip: San Jose is full of unique little museums to explore. While in the area why not try out the Gold museum as well?! Not as much fun as the children's museum but my kids thought all the gold artifacts were really cool. The Orosi valley is probably the most under utilized area in the country. We took a road trip out there for 2 days and had an incredible time. If you have enough time in your itinerary it is definitely worth a day or 2's visit. Heading out of San Jose you first hit Cartago (the old capital) where you can marvel at the Our lady of the Basilica church, a beautifully constructed church that is the end point of a yearly pilgrimage in Costa Rica. There are also ruins to explore in Cartago and in the small towns surrounding it, as massive earthquakes flattened the area years ago. Also in the area are some stunning botanical gardens, the Orosi church (the oldest church in Costa Rica that is still in use today), the Cachi dam, hot springs, and loads of amazing vistas to take in. Tip: If you can stay the night I would do so, there is just so much to explore. Many of the hotels in the area have natural hot ponds that make for a peaceful reprieve after hiking around or sitting in the car most of the day! If you want more information on life in Costa Rica check out THIS post where I answer all of the most common questions! Or THIS post where I discuss the common misconceptions of life in Costa Rica. Way cool recount here! We visited: Quepos, Manual Antonio, Playa Potrero, Monteverde, Atenas, San Jose and Nueva Arenal during our 2 month trip to CR and loved each spot. Ditto on Monteverde; it's beyond gorgeous, and it was only second to Quepos as far as our fave spot in Costa Rica. I enjoyed the wildlife there because so many creatures had like zero fear of humans. We fed Titi/squirrel monkeys from our front porch in Quepos. Thrilling experience! Thanks so much for the helpful share and keep on inspiring! I've never been to anywhere even remotely like Costa Rica. That looks fabulous! Looks very much like the Philippines. I should feel at home there! We did at least three or four of your experiences on our Costa Rica road trip in March of 2013. Ready to return and do the others! We are looking forward to Costa Rica later this year. Thanks for these top 10, especially the point on the Museo de los Ninos. We´ll look forward to taking our crew there. 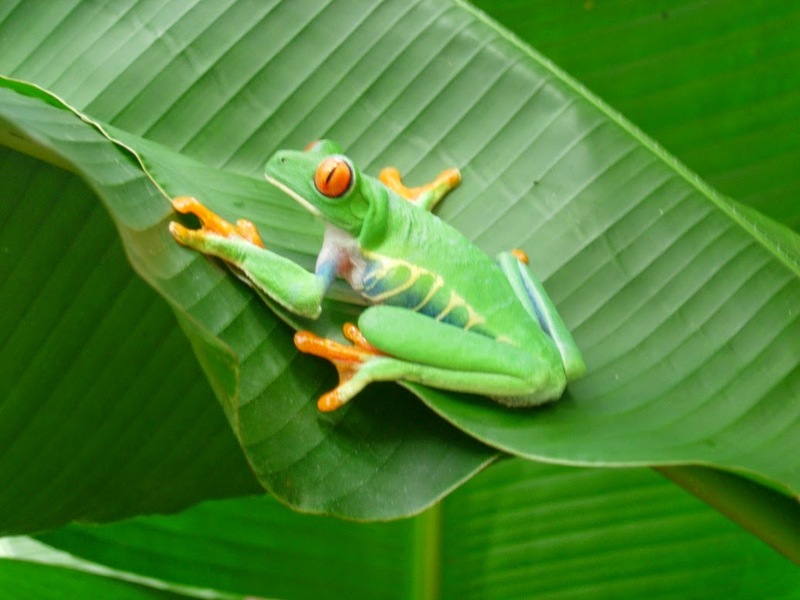 We'd love to go to Costa Rica, especially for its amazing wildlife. We keep hearing only good things about it, the sloths and the monkeys look so incredibly cute! We just spent a month in Costa Rica, and your post brought back so many memories. We loved spotting sloths, howler monkeys, and toucans while just walking down the road. Our only disappointment was it was too cloudy while we were in La Fortuna to see Arenal. Next time! We haven't visited Costa Rica but it seems all my friends who have been there, have loved it. It's always great seeing wildlife and we'll surely have to visit very soon. Thanks so much Ryan! I agree about the Quepos area. A friend of mine lived there so we went every month for a couple night and always had a great time. We lived in Atenas though as we could not deal with the constant heat by the beach:) We fed small monkeys a lot but one morning I woke to a howler monkey staring in a window at me and that was a bit eerie. We definitely miss the wildlife! Yes and no I guess. Lots of similarities but of course slightly different! The people there and in Asia were all so friendly and welcoming. How wonderful! Which ones were your favorites? It really is! We were fortunate enough to live there for 5 years so we got to know the culture and the area quite well. Oh yes, they will love it! We used to go all the time. The fact that it is an old prison makes the actual building really cool too! Oh it is fabuous! Plan a trip as soon as you can, you'll never regret it that's for sure! Plan a trip soon! Its such a great country and so nice and close! On your list, we visited Manuel Antonio, Poás Volcano, Arenal Volcano, and we drove to the La Fortuna waterfall, although we did not stay. The one thing we did not do that we had intended was hike to the Rio Celeste waterfall. We didn't get to see the volcano when we were in the Arenal area because of the weather when we were there. Next time! Fantastic list of things not to miss - I agree! My kids would definitely enjoy the wildlife and waterfall. Costa Rica looks like a great place to explore with my kiddos. I'be been wanting to go to Costa Rica for years!! It looks so beautiful and I kept hearing how the cost of leaving is so cheap. I remember reading about how so many Americans were retiring there. It must have been amazing to live there for so many years! Yeah that is a common issue. We were lucky enough to go a couple times so we got some great days but also had some crappy ones! Just 1 more reason to head back! Yes it is. You can try loads of edventure things as well as relax on a beach or enjoy the wildlife! It truely is! We loved it there. And it is cheap compared to the US or OZ but compared to other countries nearby or Asia it's actually a bit expensive. You get what you pay for thugh and CR has a better infastructure than it's neighbors! Great list. Also, as a fan of photography I must say your images are just amazing. Thanks so much! These were all taken with a pretty sub par camera. Wish I could go back with my good one now! Man, 5 years in Costa Rica? I am supremely jealous. Great tips, especially regarding the monkeys. In my experience, they are the sneakiest and boldest creatures out there when it comes to stealing food. Yes it was a wonderful experience! I even had my last son there so he is a dual citizen! And I completely agree about the monkeys although we found the Asian monkeys to be far more bold, if you can believe that! 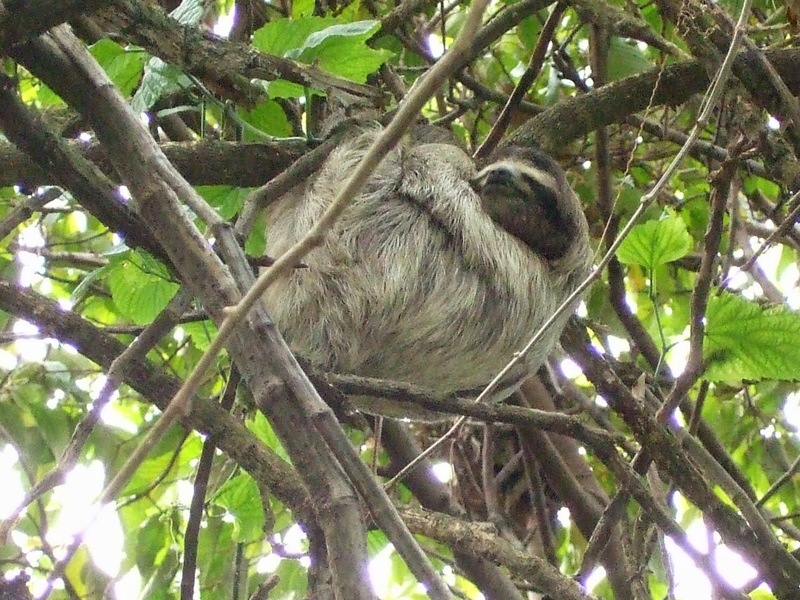 Can't you see sloths in the wild? Is it safe place to visit? we have already booked the flight tickets and was very excited. But when I read about safety in Costa rica, I came across many robbery related crime and not excited now. Please let me know your opinion on this. It is absolutely a safe place to visit. As for theft it most certaibly exists but not to any greater degree than anywhere else in the world. Even in your hometown I am sure there is some theft. Be smart with your things and take standard precautions against theft and I am sure you will be fine. Its such a lovely country, you'll have a great time! way. Keep updating your blog, anticipating getting more detailed contents.